Double Insulated Leather Top Work Boots, Size 9, 10 in H, Black | Safety First Services, Inc. Features leather upper and weatherproof rubber bottom. Built-in double insulating foam delivers continuous warmth and shock absorbing cushion for all-day comfort. 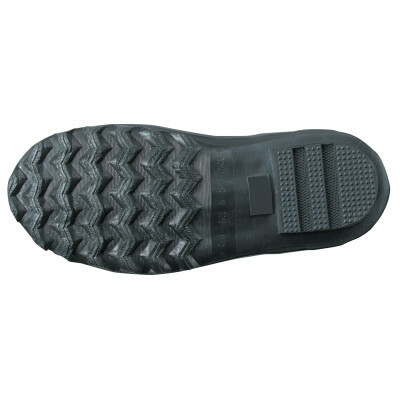 Trac Tread outsole provides excellent traction on wet and slippery surfaces. Effective for cold weather comfort to -75°F. Steel toe protection.